We recently took part in sponsoring a local festival in Chiang Mai, called the Jai Thep festival! We teamed up with our partners from Kovert! A local Skateboarding brand and skate ramp builders with an awesome bunch of guys n gals. 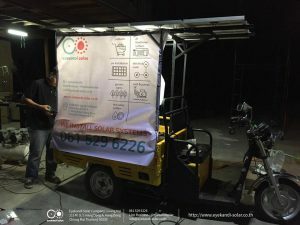 We supplied our mini yellow solar truck to provide some power-from-the-sun charging equipment. One of the great organisers from the event got in touch with us with a word of thanks. We’re very excited to be apart of the team again next year!